Iris Airtight Food Storage Container Just $4.14! You are here: Home / Great Deals / Iris Airtight Food Storage Container Just $4.14! Head over to Walmart.com to get this fantastic deal! Pick up the Iris Airtight Food Storage Container for Just $4.14! Order online and pickup in store for FREE or get FREE shipping on orders of $35+! This Iris Airtight Storage Container is ideal to store dry food for animals because it helps keep out humidity, moisture and pests. Positive snap latches will prevent pets from opening the container. 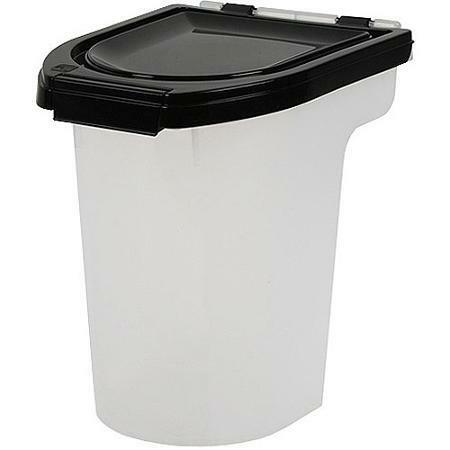 8 qt – holds approx. 6 lbs dry dog food, 5 lbs cat food, or 10 lbs bird seed mix.